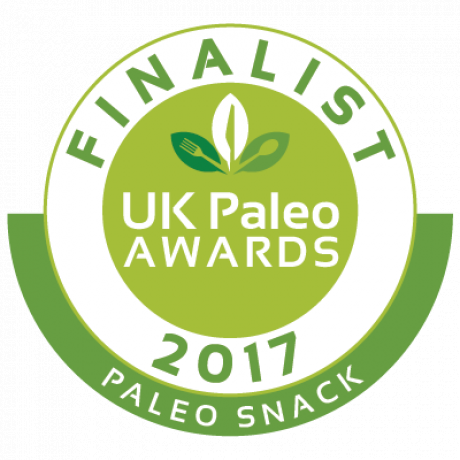 Our Cacao Dusted Tiger Nuts are UK Paleo Award Finalists! We are so so excited and super chuffed to have been chosen as one of the finalists in the first UK Paleo awards! You will find our entry in the Paleo-Friendly Chocolate of the Year category and competition is pretty high so we really need your vote to help us win! Our lovely Organic Cacao Dusted Tiger Nuts are delicious and healthy - Tiger Nuts and chocolate are truly a match made in heaven! We carefully blend two types of raw cacao powder, with Ndali organic vanilla and organic cinnamon to create the most delicious coating. Then we carefully dust each Tiger Nut by hand in our kitchen with our indulgent, specially blended raw chocolate recipe. A guilt free treat that is sugar-free, gluten-free, raw, unprocessed, vegan, paleo and delicious. You can eat these straight from the pack, and they are also great mixed with blueberries, as a topping for chia pudding, yoghurt and ice cream, or even mixed into muesli. These are made by us by hand with love in our home kitchen , and although we are really careful the kitchen does handle other nut and gluten products. Gluten Free, Lactose Free, Nut Free, Vegan, raw, Paleo Friendly, Non- GMO, High Fibre.